The much awaited bilingual multistarrer, Nagarjuna and Karthi’s Oopiri, was released on Good Friday to a thumping response from fans and film lovers. The film is rocking the box-offices across the world and is turning out to be one of the biggest hits in Nagarjuna’s career. Even as everyone is praising his guts to act in such a challenging role, here’s one small example which shows Nag’s total confidence on Oopiri’s success. As per our source, Nagarjuna watched the final copy of Oopiri just a day before its release and fully confident about the film’s success, he left for a holiday with family in Qatar, where he also participated in the inaugural ceremony of Kalyan Jewellers’ new showroom. 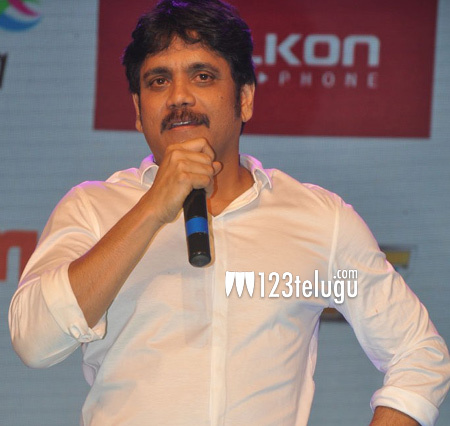 Nag returned to Hyderabad yesterday with a pleasant smile on his face. Well, needles to say, that’s some class display of confidence and experience by Nag.